You don’t need a bunch of people or the glam squad to get the perfect, radiant and glowing skin! With skin-friendly foundations, dewy highlighters and blushes that describes the post-coital glow, no girl is lacking with the makeup that gives the effect of not wearing any makeup. And while you love carrying bold lipstick and perfect defined liner, lips, the most natural effects are only achieved when your makeup emulsifies, and you look like wearing another layer of skin. 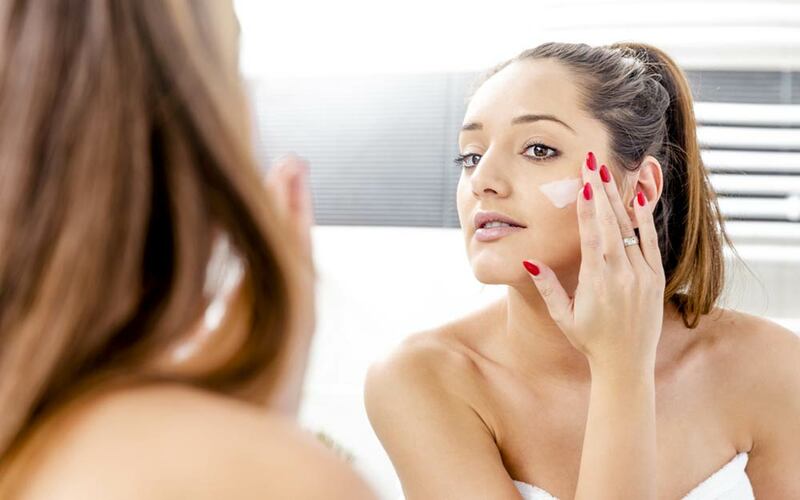 Start by applying a moisturizer so that the concealer easily blend into the skin and give you smooth effect. Now, take a concealer and apply it on the areas like under eye dark circles, blemishes and other affected areas. Use creamy concealers in the shade that goes with your skin tone. Apply the concealer with the pointed concealer brush and blend it perfectly. Make sure you pick the right amount that is suitable for face, as the overloaded concealer will give your face a cork finish than the flawless perfection. Applying a touch of the base will accentuate your flawless areas. Just draw the lines around your cheekbones, on the side of your nose, above the brows and blend everything with fingers. Want to get that sun-kissed look? Use darker shades and blend them properly into your skin. You can also mix the light and dark shades all over your face and move down onto the neck with fingers. The heat from the hands will blend things perfectly and will help the base glide easily. Apply a foundation that goes perfectly with your skin tone and blends it with a sponge or moisturizer. You can also mix your foundation with the moisturizing cream to create a custom made moisturizer. You can also add a drop of highlighter for the perfect sheer glow. To apply it correctly, dip a sponge in your foundation and apply it evenly all over the face. Cover your eyelids and under eyes and slowly buff down the neck for a clean and perfect finish. Apply face powder with the blush brush all over your face and neck. However, make sure to apply less product as it will give your face a natural look. Don’t cover the cheekbones and leave that area for a highlighter. One of the quickest and easiest ways to add color to your lips is using a lip balm or lip tint. These products will not only give your lips the right color but will also moisturize your lips. And, if you are a lipstick lover, bring your favorite lipstick and accentuate your lips. For complete coverage and long-lasting effects, use lipstick from popular lipstick brands like the Runway Rogue. Tip: before applying lipstick, take a soft brush and scrub the dead skin on and around the lip area. Next, moisturize it and then apply the color. Want to stick to the classics? Get, black! Apply black eyeliner on the upper lash line and make your eyes feel filled. Further, lining the waterline and the bottom of the eye is as simple as applying a stroke of kohl. If you are in an experimental mood, go for colored liners. Just go for the color of your choice and apply it softly onto the eyes. Make sure you apply carefully, as the perfect application can give your eyes more defined and fuller look. However, the color can look messy, if not applied appropriately. Want smudged look, have a tip or use hands and soften the outer line. Makeup is an art, it’s fun, creative and easy to wear. However, all it takes a little practice, precision, and some daring to try something new; give it a try and glam up your makeup game.